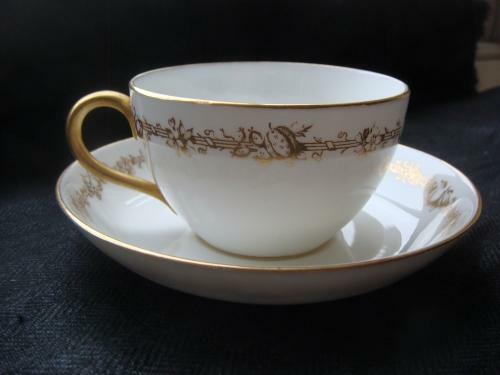 Beautiful Royal Crown Derby 'Meynell' Pattern Cup & Saucer c1920. In Good Condition there is a little wear to the gilt on the underside of the cup handle which does not detract from its charm. Cup measures 8.5cms in diameter by 5cms High, Saucer 13.25cms in diameter.